GM built the Chevette from 1976 through 1987. In terms of sales, it was one of the most successful, albeit rudimentary, cars ever offered for sale in the United States. 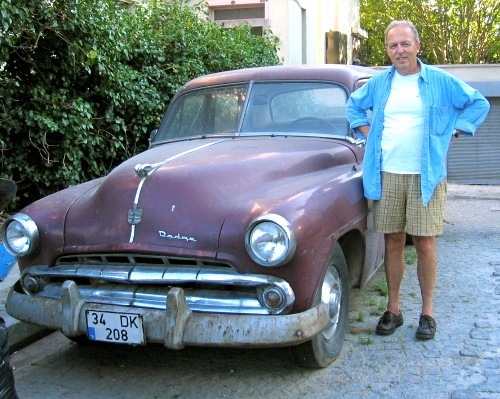 It was the corporation’s entry level hatchback, a front engine, rear wheel drive low tech showcase that found millions of buyers around the world in numerous badge-engineered incarnations marketed as a models of Opel, Vauxhall, Isuzu, Pontiac as well as Chevrolet. Almost three million units were sold in the U.S. over that eleven year model run but the percentage that have survived seems to be miniscule. 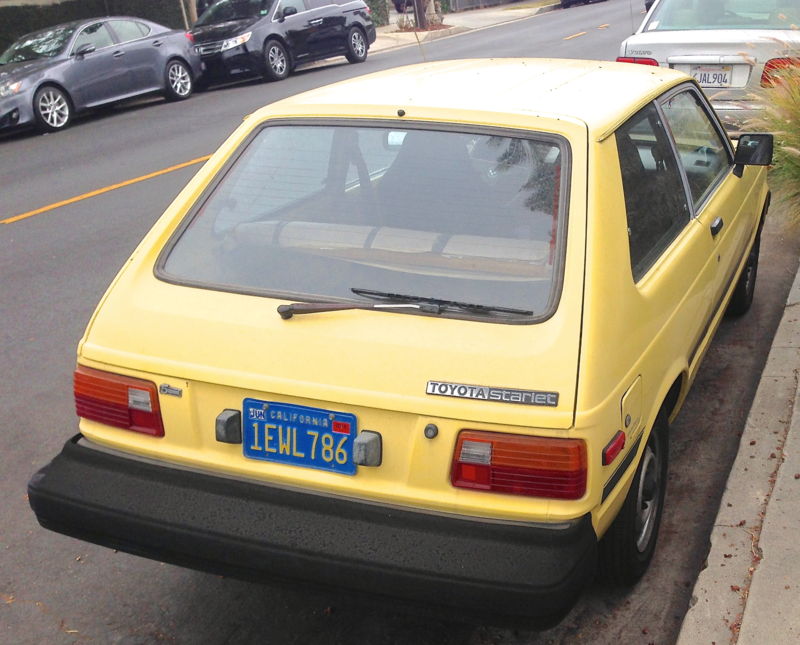 Cheapness was Chevette’s calling card. You could buy a new one for under $3,000; used cars were its main competition and, as a result, Chevette was thought of as something quasi-disposable in its day. We can’t remember the last time we saw one on a city street so the sight of a first or second year (there’s no discernible difference) example in very presentable shape stopped us in our tracks. 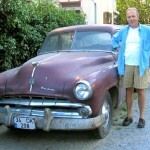 The car is simplicity itself and powered by a 1.4 four cylinder motor that developed just 53 horsepower in base form. But Chevette wasn’t about 0 – 60 times (for the record: a glacial 19.6 seconds), it was about, well, being cheap and that it certainly was. It had rear drum breaks and the headliner was made of cardboard but really who cared? We’ll tell you who cared: a woman of our acquaintance who graduated from high school in the late ’70s. 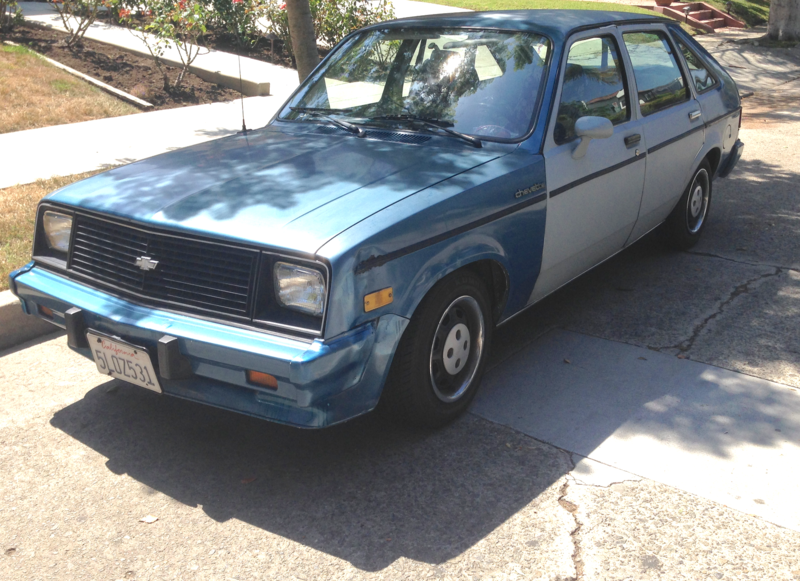 Her parents told her to go outside and see what was in the driveway and there it was: a new Chevette with a bow on it, a graduation gift. She burst into tears; her parents thought they were the joyful kind but we know otherwise. 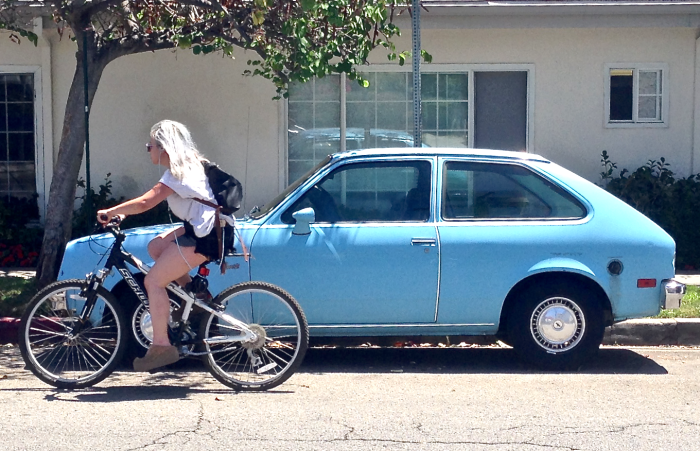 The car, even in its day, was anything but aspirational. 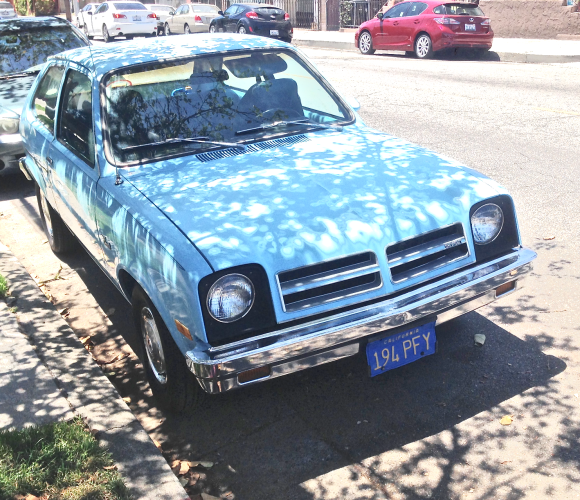 Chevette was GM’s answer to two problems: addressing the shortcomings of its predecessor, Vega and to staunch the tide of Japanese imports. Vega had a well deserved horrific reputation. They were prone to self-immolation when the aluminum and iron in its ill-conceived motor expanded and contracted at different rates, making engine cooling to an oft-times theoretical matter. Speaking of metal, Vega’s body, especially in proximity to road salt, was prone to rust within just a few months of purchase. 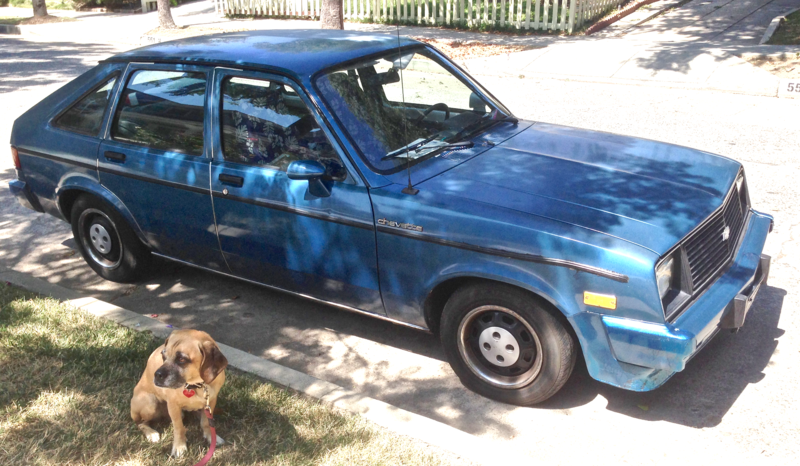 Chevette was more corrosion resistant and its cast iron motor swelled and shrank at a uniform rate. As far as the Japanese imports were concerned, Toyota and Datsun, before it transformed into Nissan, had been major players in the automotive “cheapstakes” for many years. Their products vanquished Volkswagen, the previous low price leader, and with good reason. They were economical to buy, to operate and they weren’t all that crappy. 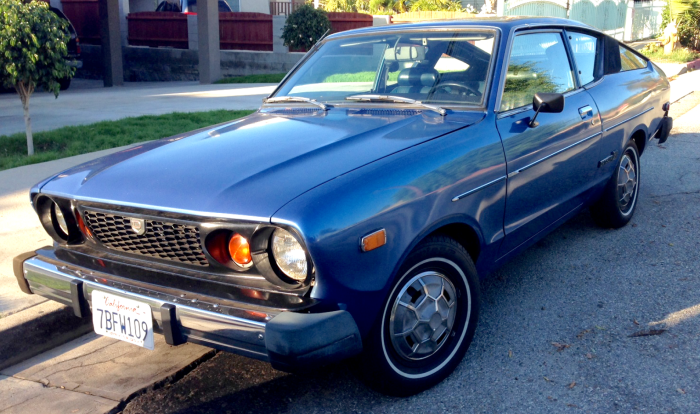 Sightings of vintage Japanese entry level cars are, therefore, a somewhat less uncommon sight than surviving Chevettes. We were pretty thrilled to happen upon a Toyota Starlet, probably an ’82, the other day that beat Chevette at its own game. It, too, was rear wheel drive and powered by a small (1.3 liter) four but seemed to have been put together with more attention to detail. Starlet was only sold in the U.S. market for three model years and, as a result has something of a cult following. OK, B-210, see if we care! We found a pristine Datsun B-210, probably a ’78, the other day and were taken with its strange proportions. It seems like a tiny blimp on little wheels but who are we to throw esthetic stones? It got 50 mpg and this one is in great shape so let’s call it a real value proposition. Lastly, we found a late ’80s Isuzu I-Mark, a woeful little hatchback that had previously shared much DNA with Chevette. 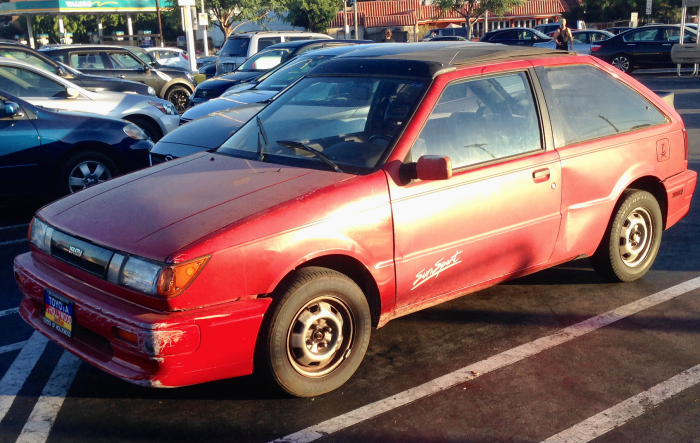 Despite appearances, this one was a more modern car with front wheel drive and was sold with different badging as the Chevrolet Spectrum and, later, as the Geo Spectrum. A rose by any other name, eh? Isuzu was GM’s Japanese chattel brand for a time and turned tail and fled the U.S. car market by 2006. There’s not much remaining evidence of the brand’s presence in the market save those Joe Isuzu commercials you can find on Youtube. Maybe it’s not such a dog..
We looked far and wide for Chevettes for sale but drew a blank. We did find a great commercial for Chevette from an Elmhurst, IL dealership. The “Shee-cah-go” accents are worth clicking to hear. 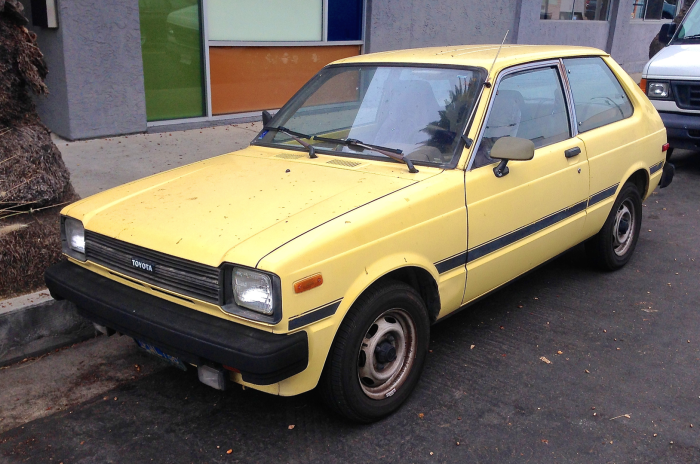 You can get this pretty swell ’81 Toyota Starlet in nearby El Paso, IL for a mere $2400. It has under 78,000 miles on it so there’s lots of life left in this little number! 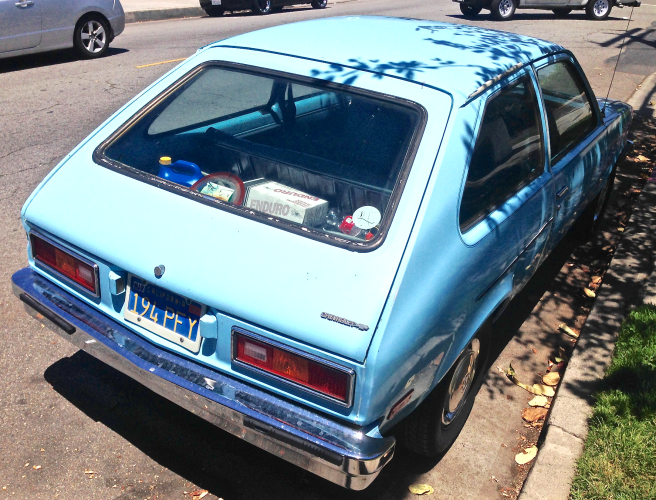 This entry was posted in Chevrolet Chevette, Datsun, Isuzu, Toyota Starlet, Uncategorized on 07/22/2015 by feralcars.